Bahrain’s Saar Kennels The Pet Hotel & Spa is now celebrating its 20th anniversary of exemplary service and renowned reputation. As the pioneer of pet care in the dog and cat hospitality industry, the hotel has opened the first of its kind Dog Garden “Starbarks” as the ideal place for pets and owners to socialise. 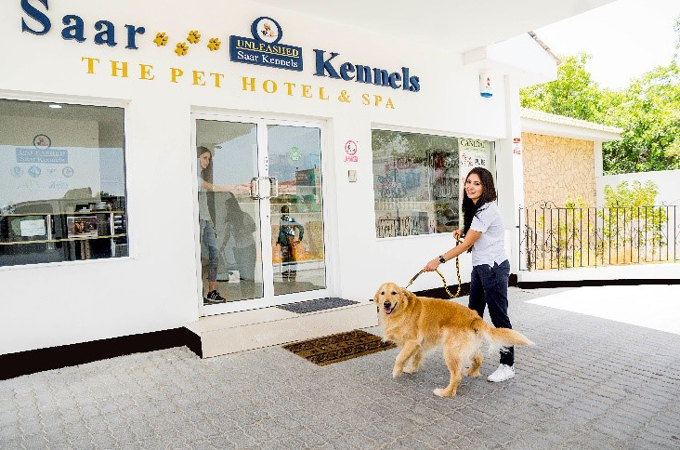 Saar Kennels is first and only pet hotel of its kind in Bahrain, dedicated to implementing British standards of kenneling focused on pet care, hygiene and safety - which has enabled it to serve both the growing expatriate and local community for two decades. Key features of the Pet Hotel include: 24-hour temperature monitored pet rooms, 24-hour CCTV and safety systems, 160KVA backup power generator, 24/7 live-in room PetCams, professional and friendly staff, and an impressive facility. “Celebrating 20 years of dedication marks a key milestone in the history of our kennel and cattery and Bahrain’s animal welfare sector,” said Suhaila Hammouda, the managing director. “In honour of the 20th anniversary we were delighted to have celebrated the re-launch of Starbarks with a select group of invitees and our premier loyalty program members,” she continued.